This morning has started bright and sunny, with only light winds blowing, so it looks like this last 5 days of rather poor weather has come to an end.... It never lasts long. Meanwhile, there's flooding in Chumphon (on the east coast - the jumping off point for Koh Tao). Yesterday was reasonable for most of the day, but still rather breezy. There was a heavy shower in the evening. When we headed up to Bang Wad reservoir a few days ago it was nice and full. There have been water supply problems for several years in Phuket, but there's been a lot of work on diverting water from other sources...I don't think the magic cloud seeding aircraft will be needed again. Sports News (well, it's gotta go somewhere). As an Englishman, sport can be a frustrating topic, but this week we have some cheer. 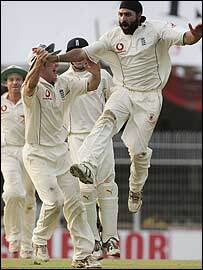 The cricket team seems to be on a high again and the people have a new hero in Monty Panesar. 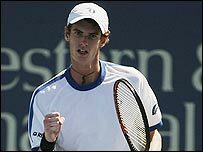 Then yesterday, young Andy Murray beat Roger Federer - see the BBC Report - could we finally have a real tennis star? For years we've been shouting "Come on Tim" rather hopefully, but Murray actually plays with some spirit and gets angry..rather un-British, but you can't always play like a gentleman. And the football team put the World Cup in the past with a 4-0 win over Greece last night.